As the beats from a beach pavilion recede in the distance, with your feet on the dashboard and the windows open, you feel the wind in your hair. 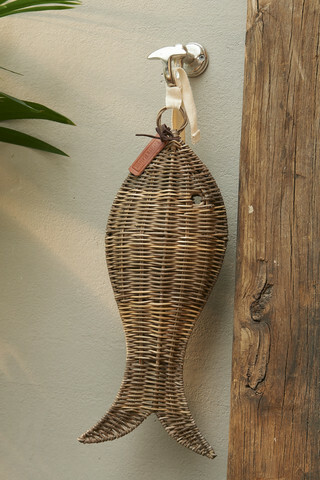 Evoke this feeling at home with the Rustic Rattan Collection, for example, with this rattan fish. It is available in several sizes.